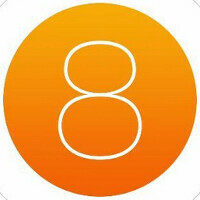 Apple has released the second beta version of iOS 8, which adds a number of bug fixes and improvements to the operating system. One change will prevent Safari from redirecting ads to the App Store without the user's permission. In addition, Apple's mobile browser now has a new pinch-to-tab view. Downloaded apps will once again be sorted by the chronological order in which they were downloaded, after switching to an alphabetical list in iOS 8 beta 1. The QuickType keyboard, available on the iPhone with iOS 8, now gains support for all iPad models except for the Apple iPad 2. The brightness button, which was disabled in the first beta, is now enabled once again. And the icons for the camera and microphone in Messages, is now grey instead of blue. A new "All Messages Read" button has been added. A new "Allow Notifications" button for each app is now offered, so that users can "mute" notifications from each app on an individual basis. Previously, you could only disable the notifications setting for all apps at one time. Those who keep an obsessive look at their battery usage, will be happy to find a new feature on the Battery Usage by App menu, which shows you what percentage of your battery life was used when your device was not hooked up to a cellular network. And when entering the camera app, instead of seeing the user's Photo Stream, you will see a pop up for iCloud photos. Podcast is now a default iOS app, which means it cannot be deleted. While iOS 8 will be pushed out to iDevices most likely in September, those who are registered as developers with Apple, can install the beta version of the OS now. Actually, there is a back door way to install iOS 8 beta 2, even if you're not a registered developer. Just click on this link. Good work apple! Getting closer to being on par with Androids......from 2012! It seems that Apple has become more open with upcoming versions of iOS than Google is with Android. Apple developers can get the iOS 8 betas, but I don't think Android developers have access to Android 5.0. Probably because Google likes to make sure their s*** actually WORKS before letting developers waste their time on a broken, buggy OS. Just a hunch. Lol if that's the case, Google should never allow their work to be out. And yet iOS continues to be plagued with glitches and bugs every single time it is released. And doesn't get fixed for months, if at all. And yet your beloved ios7 essentially broke older models, forcing people to get a new phone. Can't recall an Android update making my phone unusable in recent history. The few times it has, Samsung replaced the affected units. They didn't say "f*** you, buy the new model", like your best bud Cook did. Anything to add? Or are you done making a fool of yourself? Roundhouse, what version is your android running? The gs5 that I just sold was old already. Google has nothing to do with this. oh if i could only hear you say kltpzyxm just once. life would be good. the only reason apple has gotten this far is because of android and others, when will you people learn apple wants to make as much money as they can with giving you the least amount of tech, now that they are adding more things and still crap screen res, it will all become buggy. then they will sit and wait for 2 years for all other tech to come out and the clean little bits of it and say its theirs. "Probably because Google likes to make sure their s*** actually WORKS before letting developers waste their time on a broken, buggy OS." Actually, I think it is because Google has become much more secretive than they used to be. For example, they roled out the permissions changes to Google Play without telling the Android community that they were going to do this and without any feedback from Android users. Android has become basically almost entirely a secret Google project instead of an open source community driven project. Basically whatever Google thinks is best for Google's interests gets dumped on the market when the timing is good for Google. So I appreciate how there are beta periods for Apple iOS that are open to a large number of real people who can given Apple legitmate and authentic end-user feedback. I wish Google would involve the Android community more than they do today. i see what your saying and i wish i could have 5.0 but we dont know until next week if its 4.5 or 5.0, i am not sure how ever if apple listens to the people other wise alot of things would be changed, but you have a valid point, i believe alot of people would love the beta 5.0 when announced just like the jollo beta download you can get. Yeah...tell that to my buggy and laggy Moto X, guess I'm still on beta. hahaha because you got a mid range phone, wish it had more ram and a few things or i would have it. dropped my gs3 in the bathtub last night but pulled the battery blow it out and let it sit for an hour or 2 and bang back on and working fine. and i dropped on the roof at work, on stones cracked the bezel but still plucking along. I don't see the difference seeing as how Android versions become available to everyone as soon as they are announced pretty much. iOS is available as a beta instead. Simple reasons for this is because Android has been simpler to update for Google than iOS for Apple. Since the ICS release, the base code in JB and even KitKat hasn't changed much. Also, Google has decoupled almost all of their Apps from the OS into standalone apps. So the updates happen year round for Google where as Apple mainly integrates their own apps pretty tightly with the OS itself (closed system with no cross-platform apps). So one needs a long beta period while the other does it in short bursts mainly, so they don't need that as much. This was done on Tuesday. Why is it news on Saturday? because nothing news wise came out this week end i am going to android authority more then ever now.